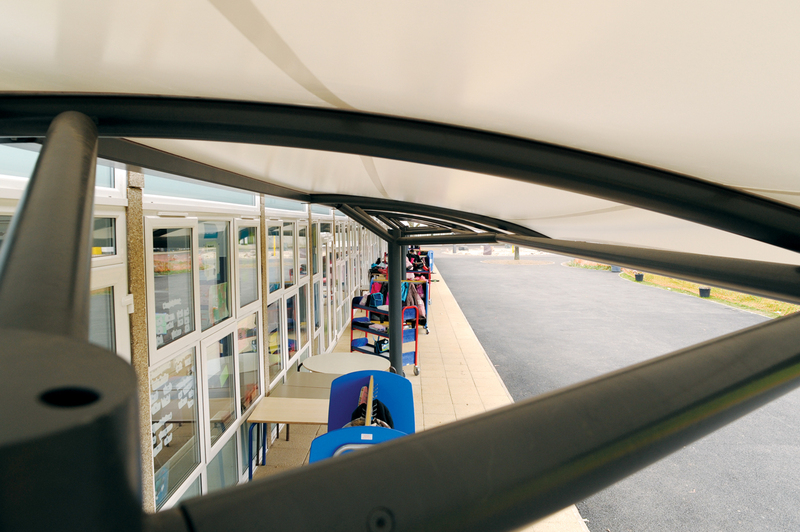 The Primary Capital Programme (PCP), led to Mandeville School undergoing a multi-million extension and refurbishment. 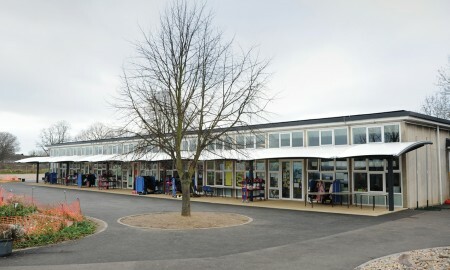 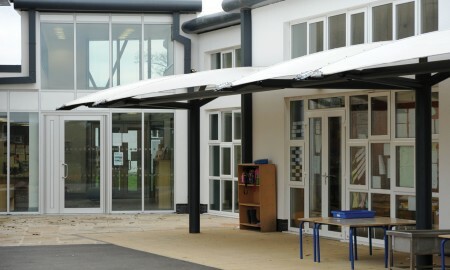 The innovative scheme includes a new building and classrooms for Reception, Nursery and KS2 provision. 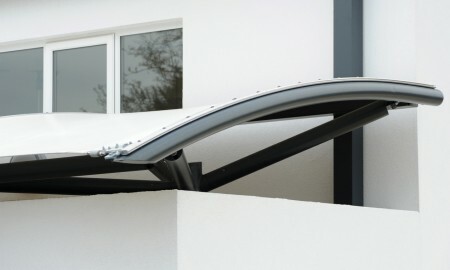 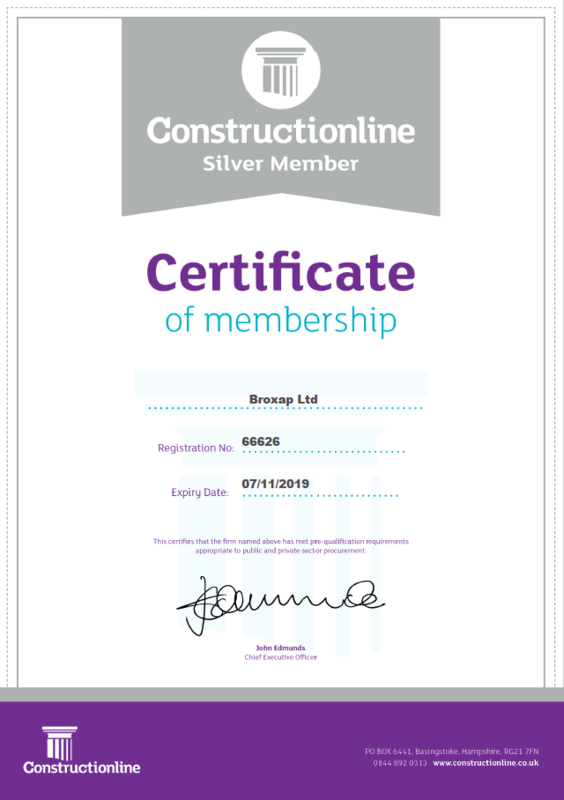 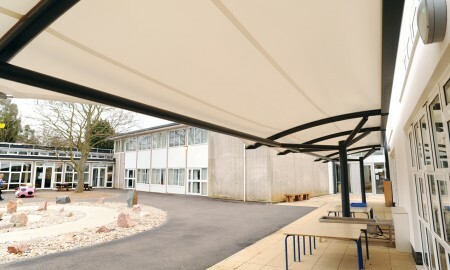 This building will also open out onto an outdoor covered space created by two large canopies overhanging the structure – a contract awarded by Willmott Dixon to the Keep It Kool at Broxap. 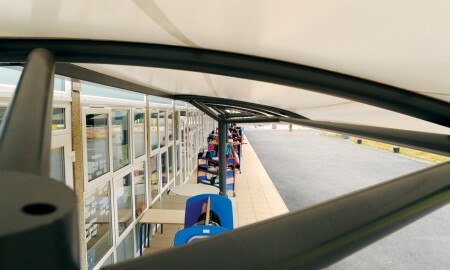 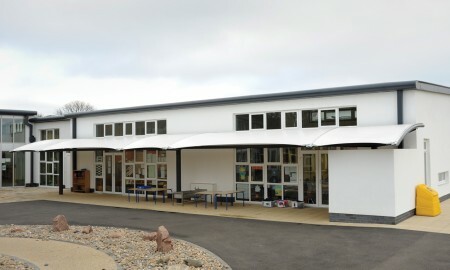 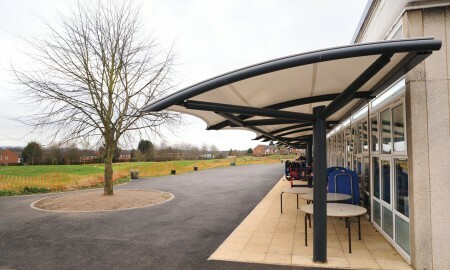 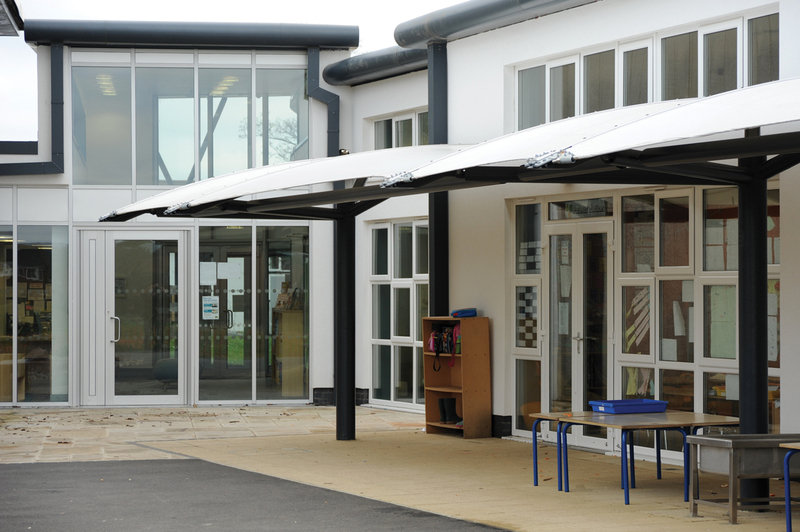 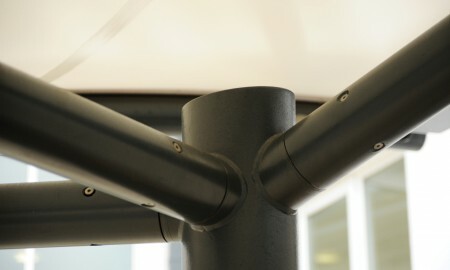 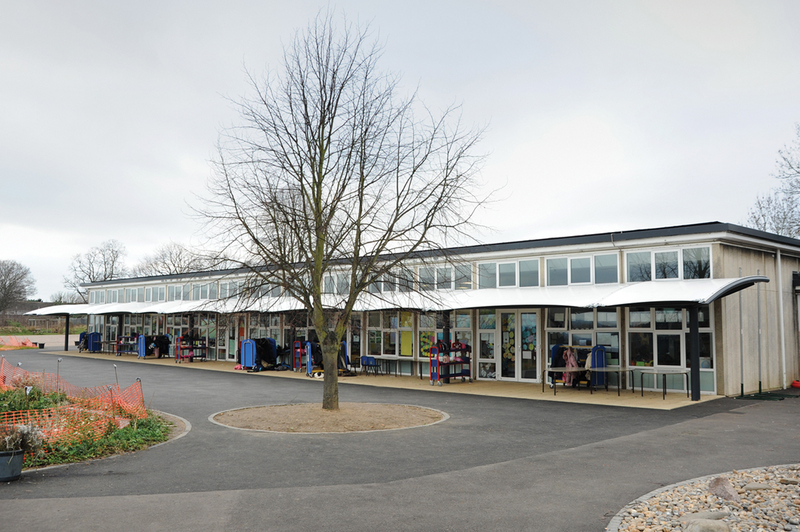 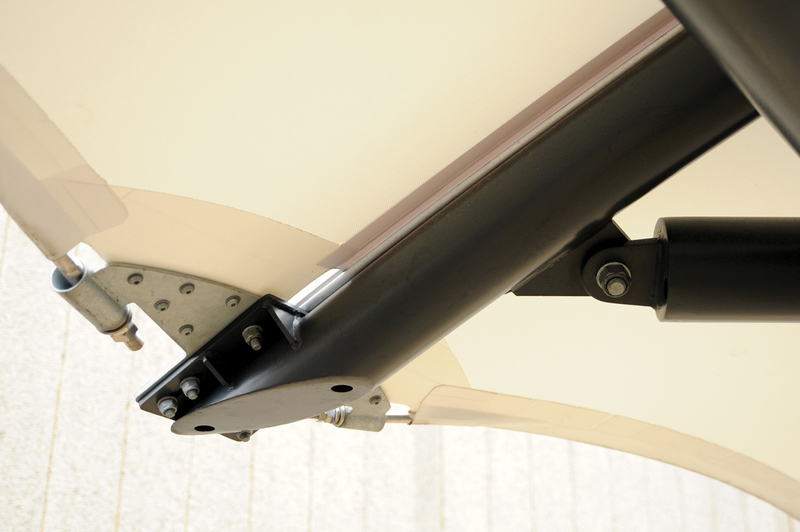 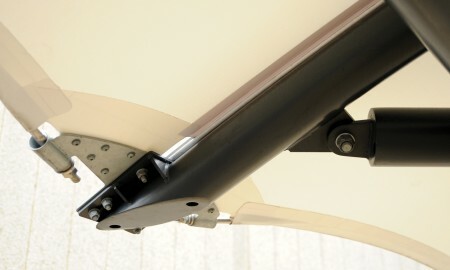 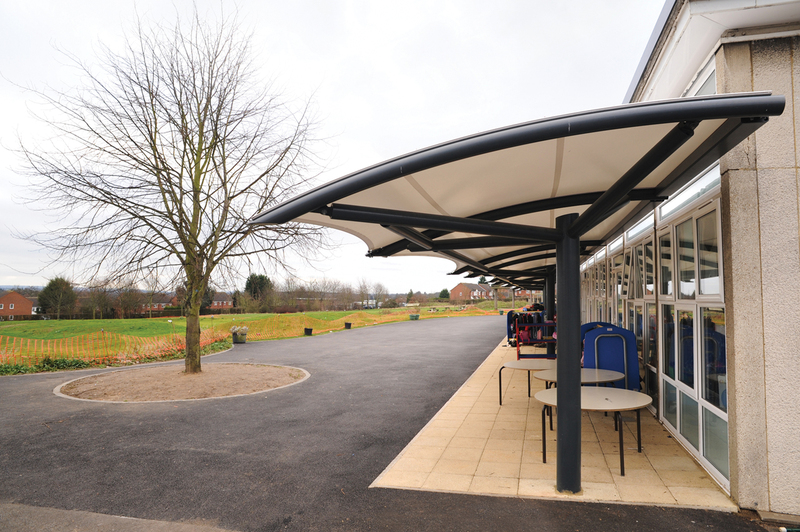 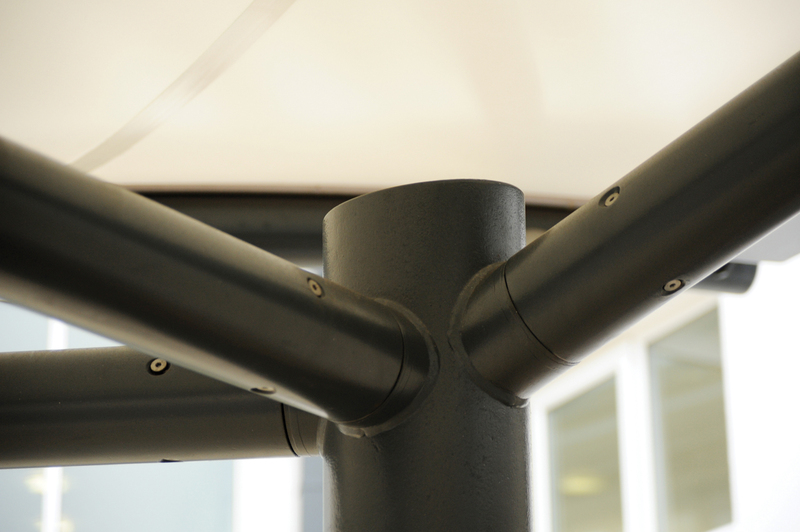 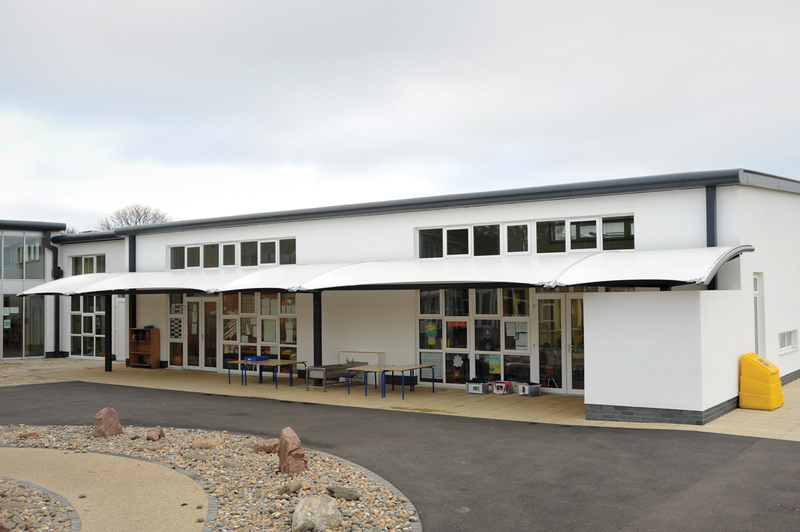 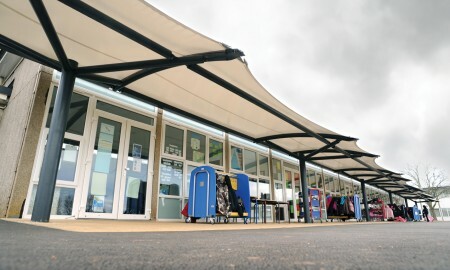 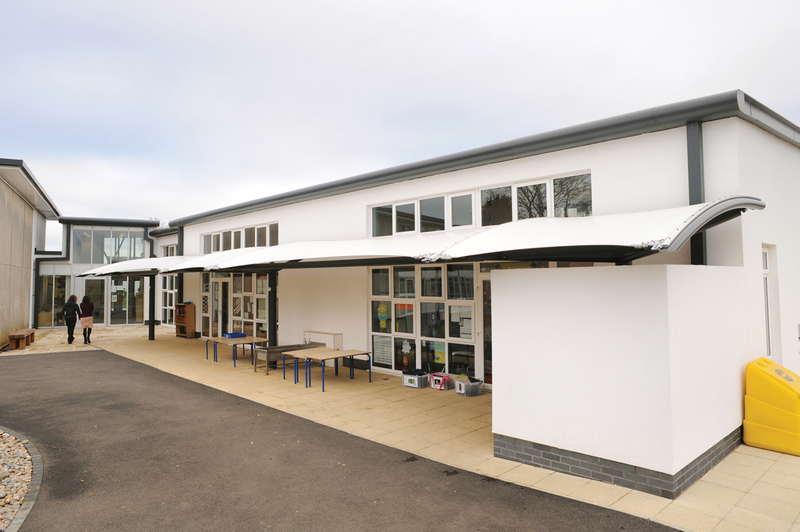 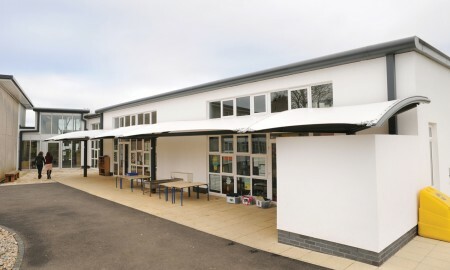 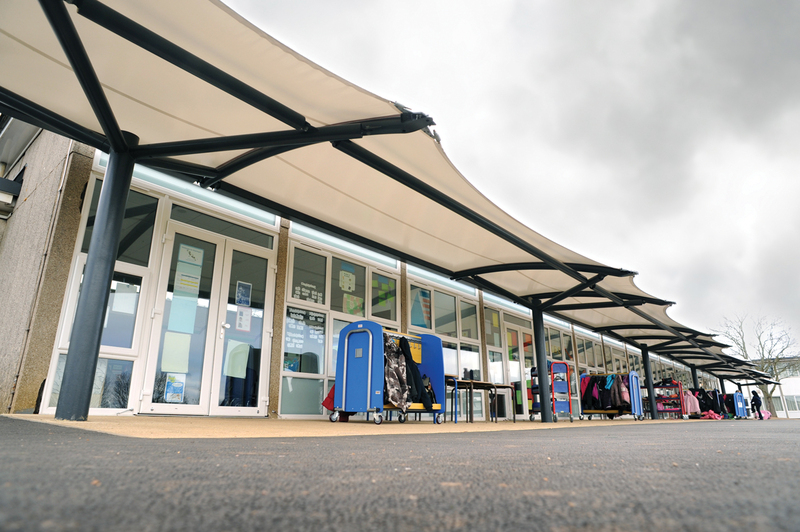 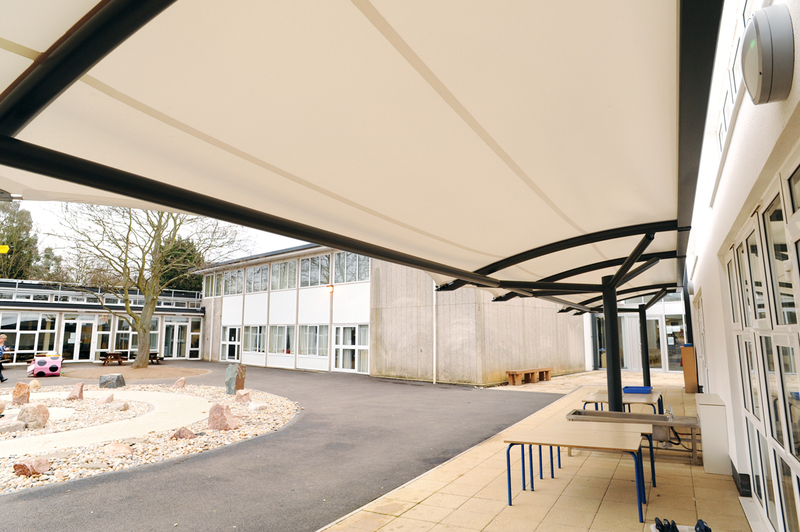 The canopies were designed to suit the exterior of the school new build and were installed within a 4 week programme of works.